If you have previously contacted the Township and are donating a Thanksgiving Basket(s) click here to review the suggested basket contents and other details, including the deadline for dropping off the basket(s) at the Township offices. On September 21, 2018 when Elk Grove and Rolling Meadows high schools played each other in football the schools’ students, faculty, family and friends were also competing in another contest, Cereal Bowl III. The Cereal Bowl event was created in 2016 to raise awareness about hunger, and the ongoing need to help keep food stocked at the Elk Grove Township Food Pantry. Students from both schools collected cereal during the week and their fans showed their support by bringing donations to the football game. When the dust settled a total of 1,460 boxes were collected and the Elk Grove Grenadiers had beaten the Rolling Meadows Mustangs to be declared Cereal Bowl III winners and now hold a 2-1 advantage in the annual contest. Congratulations to everyone that participated. You are all champions for assisting in-need community residents. The Township Food Pantry is currently serving an average of 180 families per month. Please contact the Township (847.437.0300) if you need assistance, to make a donation or to learn how you can support the efforts to provide food to our local community. 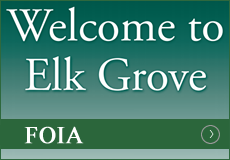 Elk Grove Township’s General Assistance Department administers several programs. Please contact us for more information at 847-437-0300. 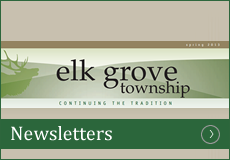 Or drop us an e-mail at ga@elkgrovetownship.com. General Assistance, or GA, is a public assistance program mandated by state law for adults that are ineligible for state or federal programs and who meet financial requirements. GA can provide monthly allotments for shelter, food, clothing, personal essentials, and transportation through direct vendor disbursements. Decisions of eligibility are made based upon state guidelines. Those interested township residents in need should click the “how to apply” button above for a list of instructions or call the General Assistance Department with any questions. Emergency Assistance, or EA, is available to families with children who are facing a life threatening circumstance (such as eviction or utility disconnection) and meet township established financial guidelines should click the “how to apply” button above for a list of instructions or call the General Assistance Department with any questions. Families receiving TANF or SSI are ineligible. Access To Care is a program offering primary medical care and treatment for minimal co-payments. Suburban Cook County residents not covered by private insurance, Medicaid or Medicare and who qualify financially can enroll. Please call the General Assistance Department to inquire. In addition to township programs, staff is knowledgeable of state, federal and other grant programs. A-OK Program: This program is designated to enable Elk Grove Township low-income seniors to have work done around their home by students from High School District 214. Seniors in need should call to schedule an appointment for a home visit. A joint venture with Northwest Community Hospital, and other adjacent townships, this program offers preventative and simple restorative dental treatment in a state of the art clinic on wheels. Cost is a surprisingly low $30.00 per visit. Residents must be financially qualified. Contact the General Assistance Department to inquire and make an appointment to register for the program. 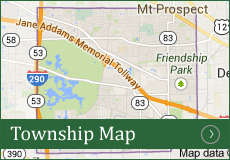 The Food Pantry services only Elk Grove Township residents on a monthly basis. 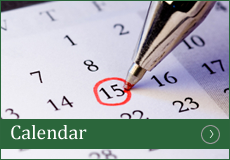 Hours of Operation are from 9:00 a.m. – 3:45 p.m. each Monday, Tuesday and Thursday. Users are required to provide a drivers license, state identification, matricula or passport and a current utility bill each visit in order to obtain service. Due to the increased usage of the Food Pantry we are running low on key items. Elk Grove Township has a Food Pantry for Township residents, which they can utilize once every calendar month. We stock non-perishable items of canned and dry foods to residents facing a food shortage, through donations received from the community. Cash donations are used for the purchase of meat. We also disburse personal essentials when they are available. Our pantry is open Monday, Tuesday and Thursday from 9:00 – 3:45. To register you must provide: Driver’s license or State ID for each adult, proof of residence (current electric bill or lease with your name). Listed below are items that are staples for the Food Pantry. We appreciate all donations; however we cannot distribute expired food products. Please check the dates on all cans and packaged food when donating.